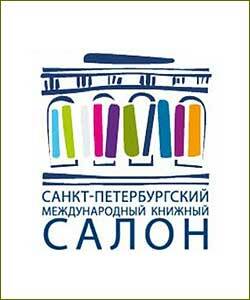 Saint-Petersburg International Book Fair - one of the largest and most important events and its mission development and popularization of reading in Russia, and the promotion of Russian literature abroad. The organizers of the Book Fair are the Government of St. Petersburg and the Russian Book Union. Book Fair is supported by the Federal Agency for Press and Mass Communications. Book Fair's Operator is "Petrotsentr." By functional orientation Book Salon can be divided into two parts - the exhibition and fair, cultural and business. In the first publishing and bookselling organizations present visitors the widest range of books and related products, and trade. The cultural and business program of the Book Fair attended by officials, heads of publishing houses, booksellers, networks, Russian and international experts, writers, representatives of various funds supporting publishing projects, representatives of library and education community, cultural figures. In addition, during the Book Salon implemented an extensive professional program aimed at training and professional workers in the sector by means of dialogue with the leaders of the book market, participate in workshops and master classes. For the young participants organized Playground, Carnival literary characters, a variety of games and contests Participants Book Fair exhibitors have a unique opportunity to establish useful business relations with the largest Russian publishers and booksellers networks and gain access to international markets by establishing contacts with literary agents, both foreign and Russian, working abroad. City news archive for 27 May' 2016.